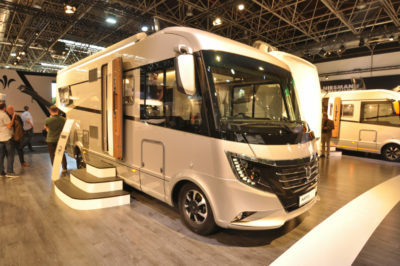 Germany’s Caravan Salon is Europe’s largest showcase for new motorhomes, as well as launching plenty of exciting future ideas. 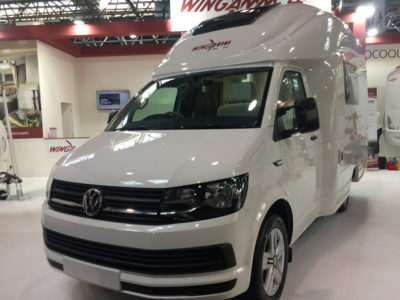 Here’s our top six motorhomes from some of the key new models that debuted at the show and will be heading to the UK – plus other highlights. California XXL – concept to reality? Volkswagen announced the California XXL and, although it’s officially a concept, there seemed to be every sign that production isn’t so far off. See also our mini review here. 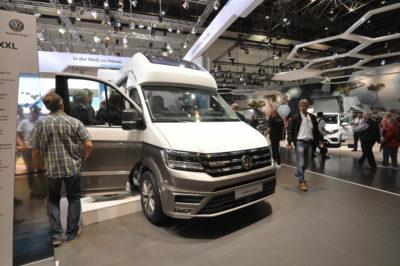 Volkswagen wasn’t the only one showing off a Crafter-based conversion. 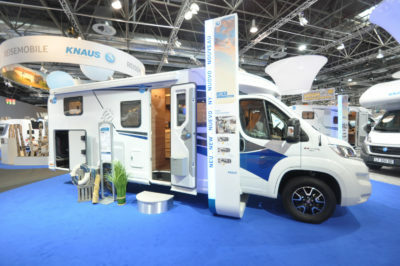 There were also examples from Knaus (called the BoxDrive) and Westfalia (Sven Hedin). 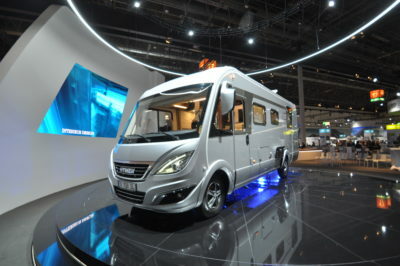 B-SL (for SupremeLine) is the new flagship A-class range from Hymer. 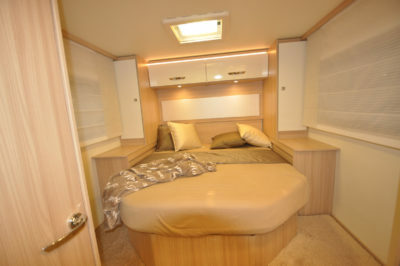 Comprising two Fiat-based models initially, there’s the island bed 708 and twin singles 704. 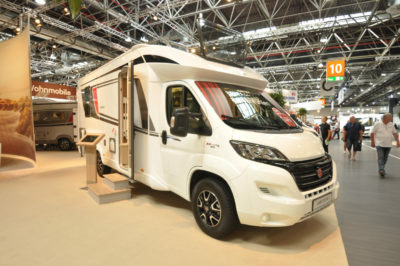 Both features lots of innovation, starting with the latest 2.0 version of Hymer’s near-legendary PUAL bodywork construction, with heated double floor, unique windscreen heating and more. 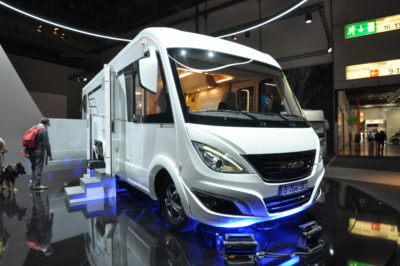 Also new is the Mercedes-based Grand Canyon S – a high-top that can also come with an elevating roof, while the main bodywork features mouldings to increase the length of the transverse rear bed. 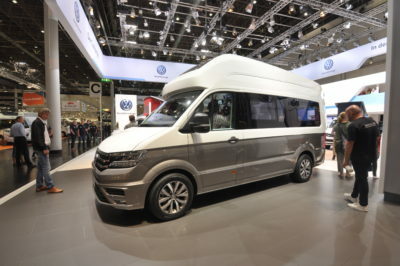 Lyseo was a new name for Bürstner last season, and already it’s being extended from its initial low-profile coachbuilts into A-class models, plus there are lower-trim variants badged Time. 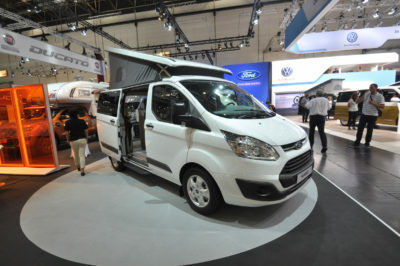 Also new is the Ixeo 744 A-class, with a rear lounge and fold-down double bed; and four-wheel drive versions of the Fiat Ducato-based City Car high-tops, with plans to develop more models. Pilote Group’s super-premium brand Frankia can now offer rear lounge models across its whole portfolio of coachbuilts and A-class’. 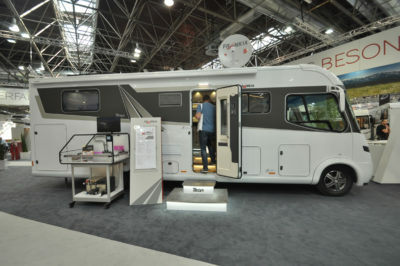 There are also some interesting developments regarding lithium batteries, which means full self-sufficiency for those who like to travel away from campsites. 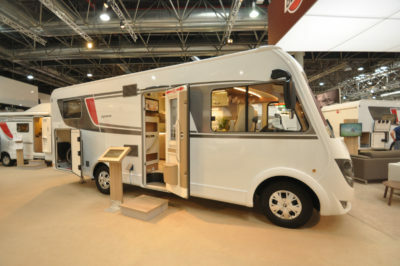 They’re all available exclusively from Frankia’s sole UK agent, SMC Motorhomes of Newark. Dethleffs – so long, solar? 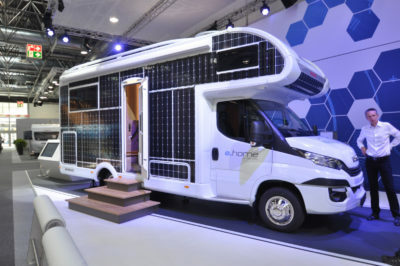 This is the e.home, an interesting concept from Dethleffs and yes, it is covered in flexible solar panels. 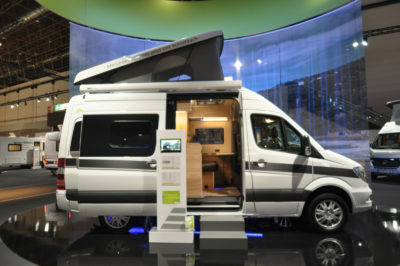 The whole vehicle has some 31 square metres of solar panelling, capable of giving it 3,000W of power. Also on board are a combined inverter/charger, lithium domestic-quality batteries, a DC-DC converter for charging ancillary appliances, and full monitoring and safety back-up. 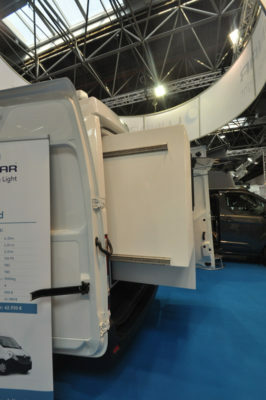 It’s based on the Iveco Daily Electric chassis with a liquid-cooled three-phase AC motor with a power of 80kW. Another one for the future, maybe…? 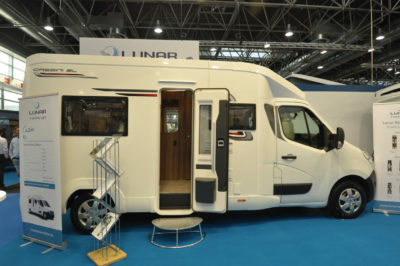 The UK’s Lunar is a company on a motorhome mission at the moment. 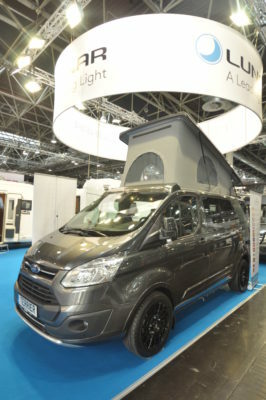 Having bought Wellhouse Leisure this summer, it showed off the Ford Transit Custom-based Terrier for a European mainland debut. 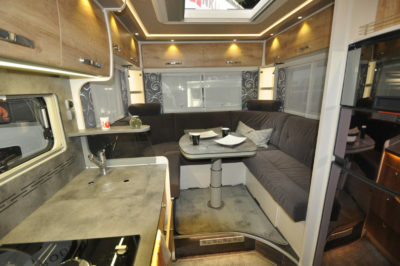 But there was more, not least Cassini, a line-up of three coachbuilts on a Renault Master chassis. Also based on Renault’s Master is the Maira van conversion with a clever rear slide-out section. It’s called the X-Trend. 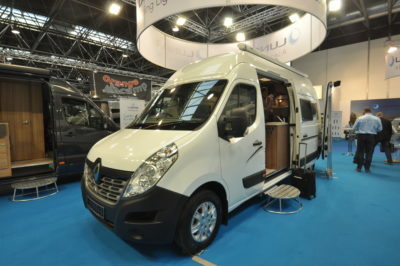 …and, the day before Caravan Salon opened its doors to the public, France’s Rapido Group announced its purchase of UK van conversion specialist, WildAx. 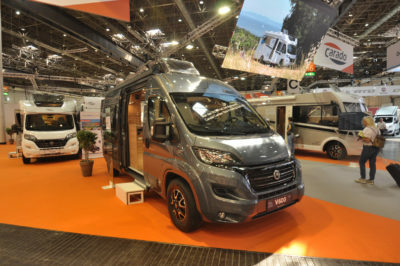 Let us know what you make of our top six motorhomes and the highlights from the Caravan Salon in the comments box below. Thanks for your feedback Clive. The article was written as an overview piece. If we find out more we’ll email it across to you. 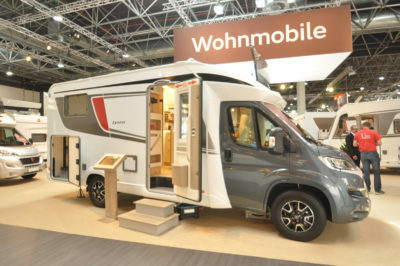 We have reviewed the Mercedes Marco Polo campervan: https://www.caravanguard.co.uk/news/2017-mercedes-marco-polo-glampervan-14141/ and any Hymer dealer should be able to give you more information on the Hymer Grand Canyon S.